"Mastic Beach could be the second coming of Patchogue, an established village with plenty of young families," said one developer who recently purchased a lot at the corner of Neighborhood and Mastic roads. 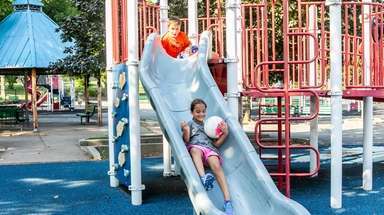 Signs of a rebirth in Mastic Beach are showing eight months after the municipality returned to Brookhaven Town jurisdiction. Evidence of the revitalization is marked by spiking home sales, commercial development plans and a town campaign to crack down on blight and promote the area as an unheralded destination with plenty of potential. Residential sales on the upswing: About 260 homes were sold in Mastic Beach from August of 2017 to August of this year — a 33 percent increase over the previous year, real estate data show. Commercial development proposals: Neighborhood Road — the main east-west thoroughfare that cuts across the community — is being pegged as the heart of what could be a thriving downtown. 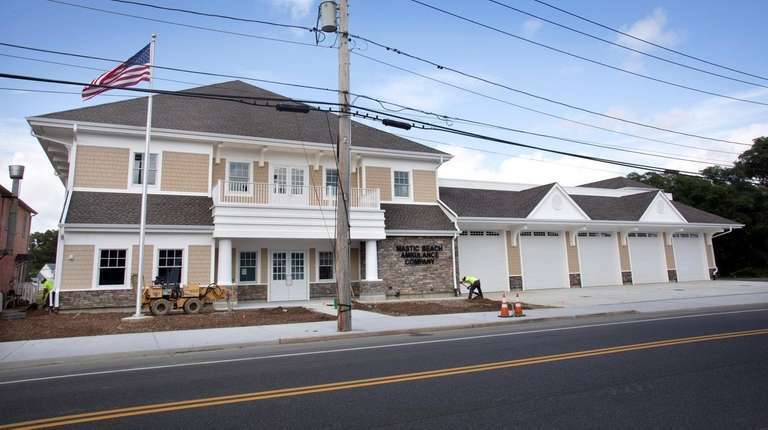 Town officials opened the $9.5 million Mastic Beach Ambulance Company headquarters this month, and builders have shown interest in constructing retail stores, apartments and a bank. Code violation crackdowns: Brookhaven demolished nine homes this year and 11 more have town board approval to be torn down, town officials said. Public hearings are scheduled for eight other homes and 20 are awaiting inspection. The town’s marketing campaign: At the beginning of this year, Brookhaven officials took out a $4,000 full-page ad in Newsday touting Mastic Beach as "a diamond in the rough" halfway between Manhattan and Montauk. “Mastic Beach is doing a lot better than it was doing this time last year, so there is progress,” Brookhaven Town Supervisor Edward P. Romaine said. “There’s a long road back. 2019 is going to be a critical year for Mastic Beach where all the pieces start to fall into place." The community's redevelopment, however, may depend on whether Brookhaven voters approve a referendum that would authorize $191.3 million in federal and state spending that would allow the county to build a new sewage treatment plant at Brookhaven Calabro Airport and create a new sewer district in the Mastic and Shirley area. The Suffolk County Legislature is expected to vote this fall on whether to put the measure on the ballot. A public vote would then be scheduled for Jan. 22. Brookhaven Town Councilman Dan Panico said if the ballot measure doesn't pass, he’ll solicit the state and federal government for "as much as it takes" to connect Neighborhood Road to sewers. He didn't provide further details. Romaine said development is possible without sewers. He pointed to Center Moriches as an example. The main commercial strip there has businesses like medical offices and law practices. “Sewers are not always necessary for different types of progress. 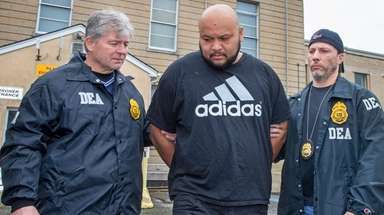 For small towns, which is what Mastic Beach is, you don’t always need them,” he said. Citing other "thriving" waterfront communities on Long Island, Port Jefferson Station developer Michael Nelin set his sights on Mastic Beach and recently purchased a lot at the corner of Neighborhood and Mastic roads. 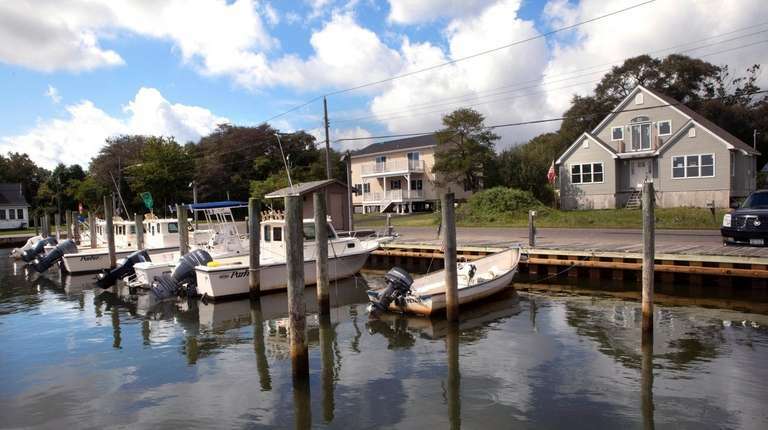 But Nelin, whose portfolio includes the $45 million Washington Professional Park on Route 112 and the $8.5 million cancer center on Route 347, both in Port Jefferson Station, said the uncertainty surrounding the sewers makes Mastic Beach a gamble. Ideally, he wants to construct a restaurant or an apartment complex, but without sewers he’ll settle for limited retail space. Another developer — John O'Laughlin of Center Moriches — purchased the Village Hall building on Neighborhood Road for more than $400,000 with the intention of tearing it down and building something else, town officials said. Calls to O’Laughlin weren’t returned. Transforming the community into a residential destination is a priority for Panico, who represents the district and grew up nearby. To do that, he's targeting dozens of unsafe homes that have lowered property values in recent years and has overseen a series of drainage projects in the community. 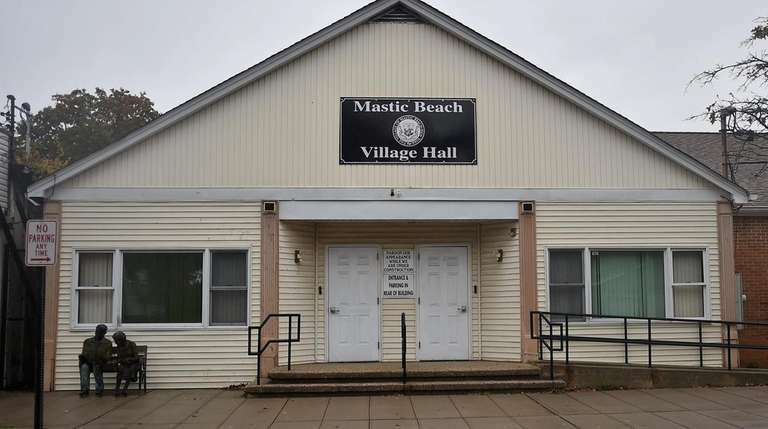 Mastic Beach became an incorporated village in 2010 in hopes of producing a tax-neutral municipality capable of tearing down vacant and abandoned homes, stepping up code enforcement and reducing the number of absentee landlords. The attempt at self-governance failed. Problems in the village started early with inaugural Mayor Paul Breschard quitting halfway through his first term, citing health concerns aggravated by tension on the board. In its short history, the village had four mayors, six treasurers, five village attorneys and three village clerks, and its dissolution followed years of political discourse along with the risk of skyrocketing property taxes. With a small tax base, Mastic Beach only had enough money to demolish about a dozen homes. On top of that, the then-village had to pay a $387,500 settlement to six black residents and two landlords after allegations of housing discrimination violations, and an over-budget road paving project would have led to a 400 percent tax increase had the village not been dissolved, state officials have said. 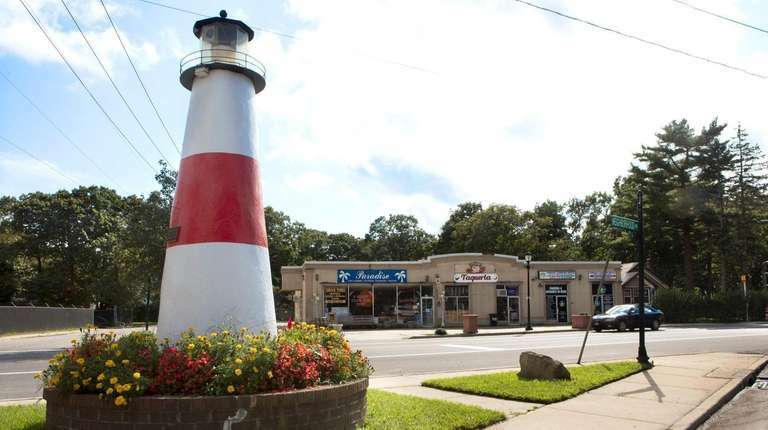 Mastic Beach Property Owners Association vice president Lynne DeBona — a lifelong resident who remembers Neighborhood Road being lined with a bank, florist, ice cream parlor and butcher — said many of Brookhaven’s initiatives have been effective. “I’ve seen Mastic Beach go from good to bad, and there’s been a positive change,” she said. Former village officials say the government transition has made the community more attractive to would-be homeowners. Town and real estate officials said affordability is a big attraction for Mastic Beach, especially for young families. 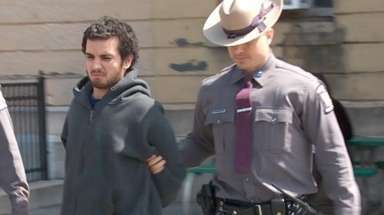 “When you’re a young family, you want to live in a place that’s attractive, and where your family will be safe," Panico said. "Mastic Beach has a lot to offer, you’re near a lot of water. I think people see the value." The median housing listing price in Mastic Beach is $167,562, according to the Multiple Listing Service of Long Island, which tracks Long Island home prices. For the rest of Suffolk County — excluding the East End — the median selling price is $425,000, according to the brokerage Douglas Elliman and appraisal company Miller Samuel. The average Mastic Beach home is on the market for 96 days, real estate agents say. Islandwide, excluding the Hamptons, the average is more than twice as long. Long Island has seen steady sales and price growth, but submarkets like Mastic Beach are far outpacing the Long Island market, said Jonathan Miller, president and chief executive officer of Miller Samuel. Cynthia McKenna, an associate broker with EXP Realty in Hauppauge who represents many Mastic Beach properties, said renovations also account for some of the real estate pickup. “Investors are buying some of the lower costly homes, and renovating and reselling the houses again,” she said, adding that houses in Mastic Beach have continually sold since the 2008 foreclosure crisis. Longtime homeowner Alan Chasinov, 63, has lived through the rough patches of Mastic Beach. While he views knocking down homes as an improvement, he believes enough hasn't been done to transform the hamlet. "I haven't seen much of a change," he said. "We haven't seen anybody else come in and bring any businesses." For Mastic Beach business owner Jeffrey Stewart, 42, more development can't come soon enough. Stewart said he dreamed of owning a small shop, so last year he and his wife opened The Dolla Spot retail store on Neighborhood Road. While business has been steady, he's optimistic that more development in the central location will mean more consumers. “Business has been good, but could be better,” Stewart said.